Nimira works at a music hall as a "trouser girl" or singer. She left her homeland a long time ago in hope of a better future. Now she wonders if singing will ever lead to any type of life. When a sorcerer named Hollin Parry sees her and wants to hire her, Nimira is thrilled. She'll finally be able to live in the rich life she's always dreamed of instead of imagining it. What Nimira doesn't know is that her job comes with a price, which at first doesn't seem too bad. She will accompany an automaton, Hollin Parry's self operating robot, by singing while the automaton plays piano. Nimira hears from the servants that the other girls he hired believe his house is haunted. There have been rumors that a mad woman lives hidden away in the house and that the automaton or "clockwork man" is alive. Hollin Parry tells her that none of this is true. But if it is, what will she do? At first, Nimira accompanies the automaton and nothing happens. But then she is sure that it blinks and looks at her. Worse still, Nimira feels herself getting less attached to Hollin Parry and more attached to the clockwork man who, even though he is an inanimate object, has such human like qualities. 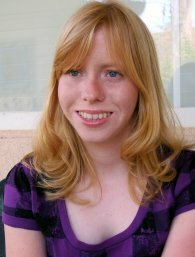 What choices does Nimira have if these rumors turn out to be true? 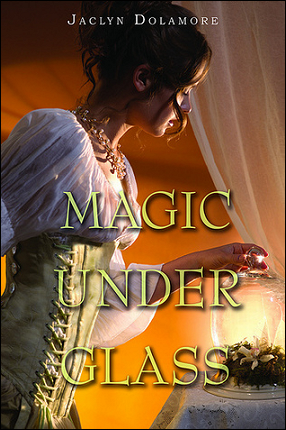 Magic Under Glass is interesting in that it blends a lot of different genres together. I saw some elements of steampunk, as well as gothic romance. I didn't like the ending of Magic Under Glass because many questions were left unanswered. I'm hoping there will be a sequel so I can know the outcome of the story. If you love to read, and you like Magic Under Glass, try reading Jane Eyre by Charlotte Bronte, because there were some similarities. Magic under Glass deserves four out of five stars.